When it comes to great sound, there is one thing that often gets overlooked – especially in churches. We run to the mixer to fix problems that arise while ignoring the most important thing. It’s like the current healthcare system. We are prescribed medications to get rid of symptoms when the root cause of the issue is ignored. So, what is the key to great church sound? When something doesn’t sound quite right, the first thing to look at is where the sound is originated – the source. The mixer is at the end of the signal path and shouldn’t be used to fix ‘at the source’ problems. In other words, don’t use EQ to compensate for old drum heads that haven’t been properly tuned. Don’t use compression to compensate for a vocal who doesn’t know how to control their dynamics or hold the microphone correctly. Step 1: Check the source. Vocals should be singing out and holding the microphone correctly (no more than 1” from their mouth). Electric guitars should have a great sound coming from their amp and the microphone placed correctly. Drums should have heads that are in good shape and tuned correctly. The acoustic guitar should have the on-guitar EQ set to flat and the volume all the way up for a strong signal. Keyboards should be sending a nice strong signal. Step 2: Check the microphone. Are you using the correct drum microphones? Have you tested different microphones on each vocal to see which sounds the best? 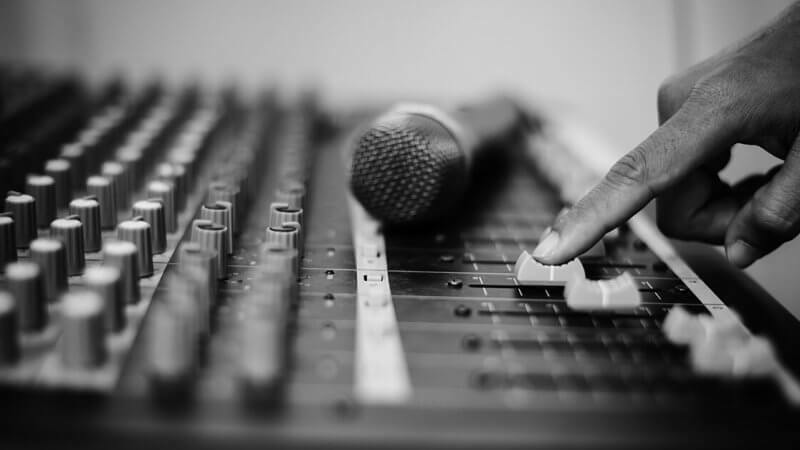 Each vocal is different and may sound better through a different microphone. Step 3: Check the cables. Cables can make or break your sound. Do you understand balanced vs unbalanced? Are you using direct boxes when needed? Are you using quality cables or the cheapest cable you could find? Step 4: Properly set the gain. Step 5: Use audio processing. Only at this point are you ready to start using things like EQ and compression to improve the sound. Of course, you should never use these things just because they are available, but to solve a specific problem. And, if you don’t understand something, it is generally best not to use it until you do. If your sound is not right at the source, there is no amount of signal processing that can fix it. If you feed your mixer crap, you are going to get crap. Am I saying you should never use EQ and compression? Of course not. But, when solving sound problems, we should always start at the source and work our way back to the mixer.